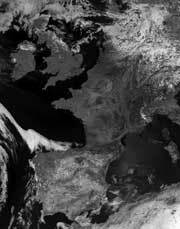 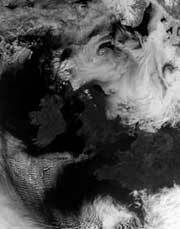 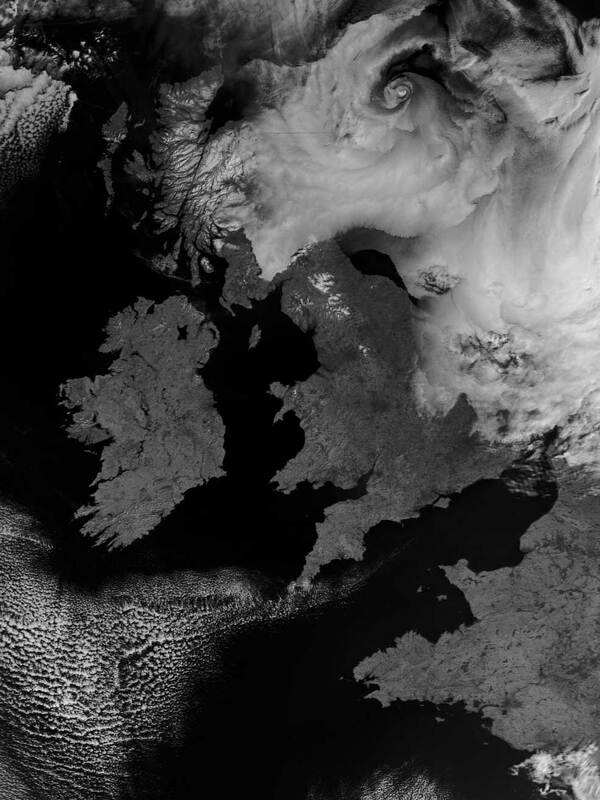 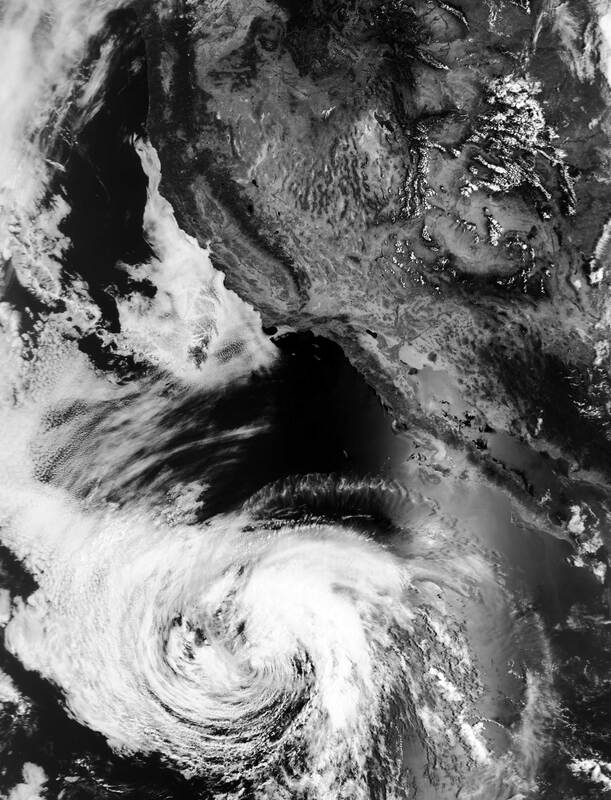 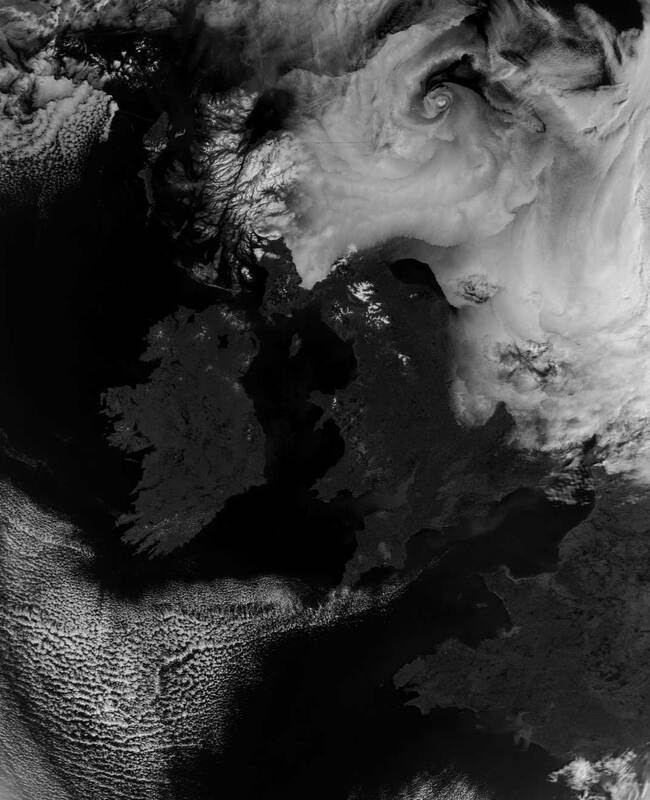 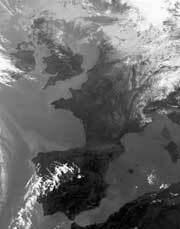 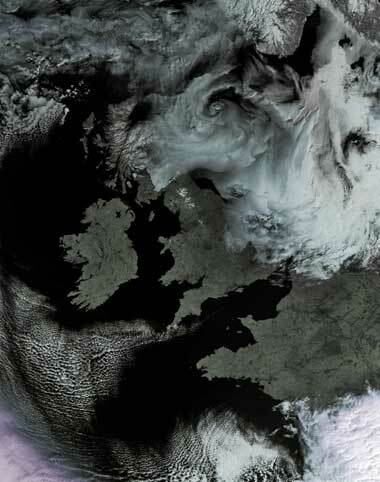 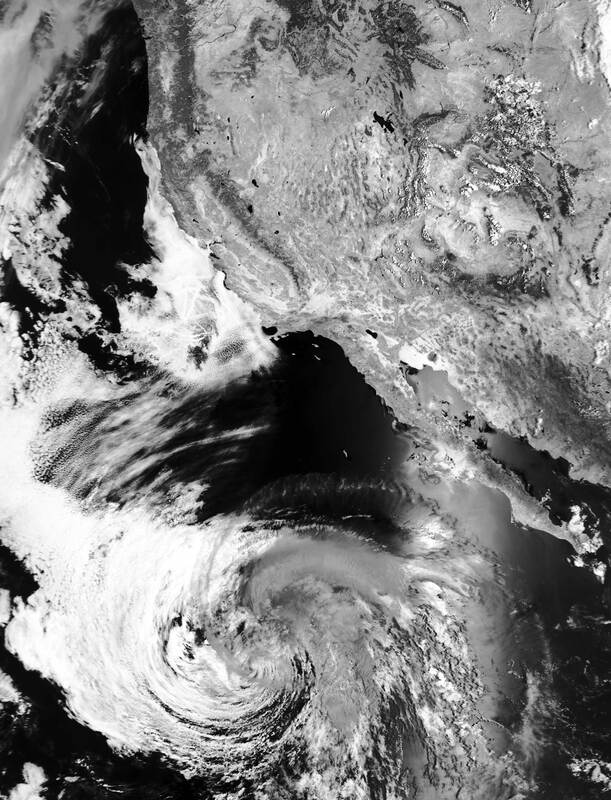 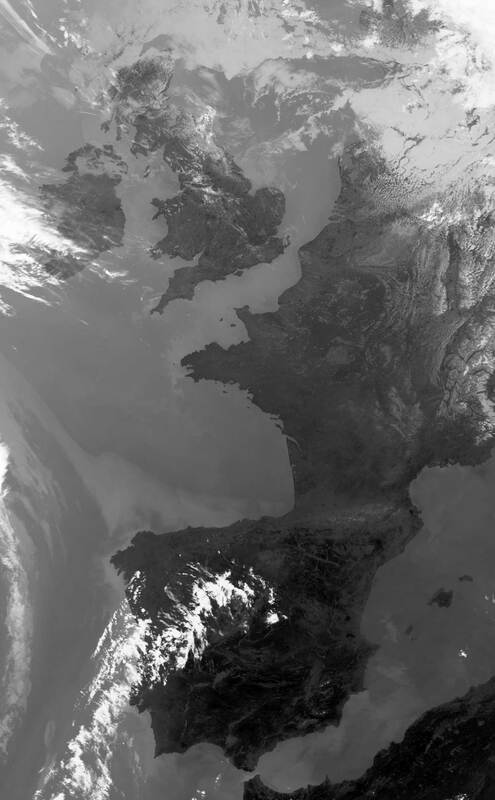 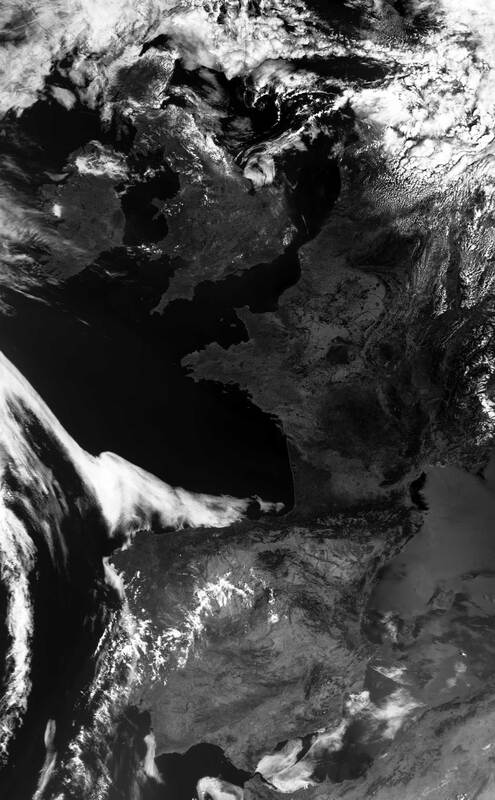 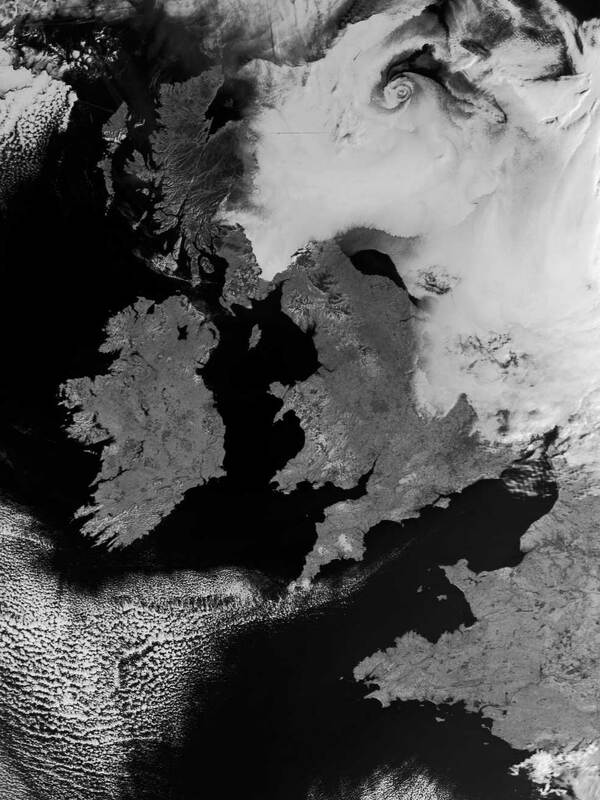 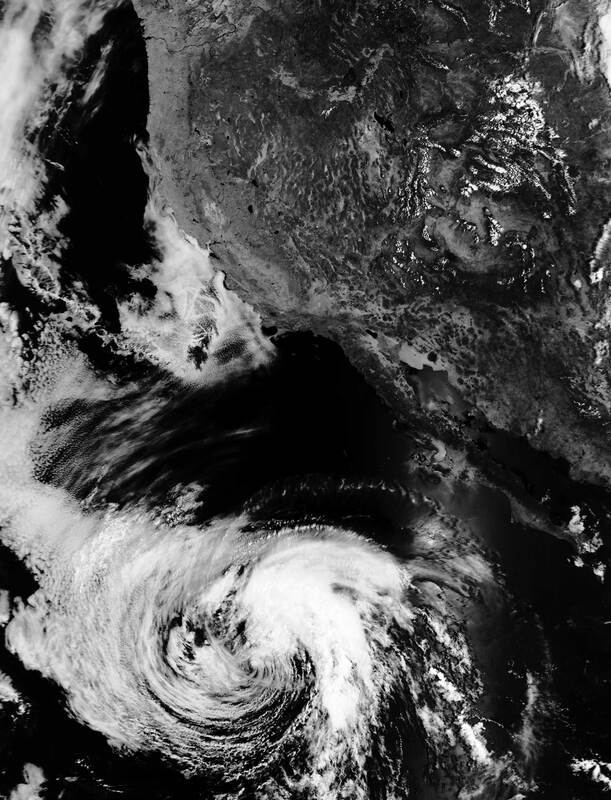 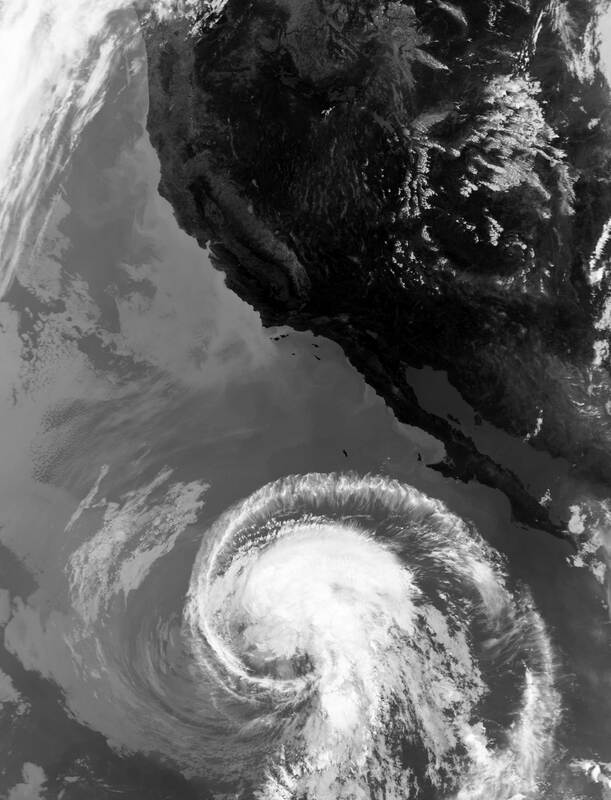 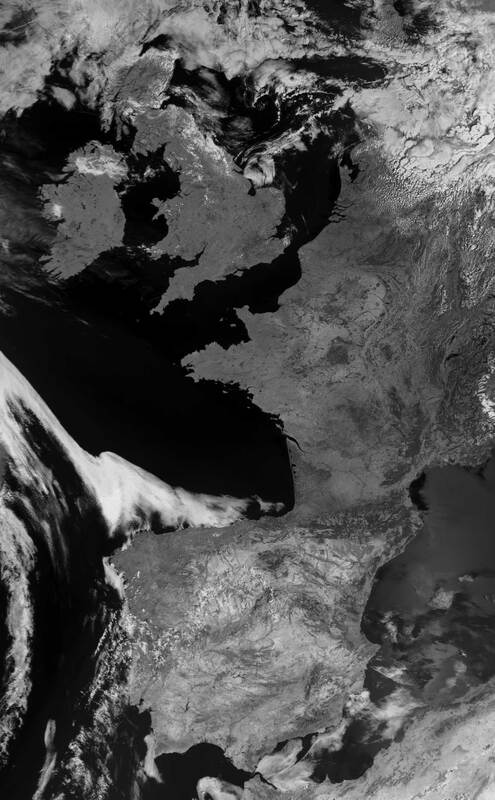 The European Metop satellites image the Earth using the AVHRR3, a six channel scanning radiometer that views the Earth in visible light and infrared (IR). 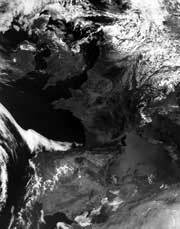 Only five of these channels are active at any one time however, as channels 3A and 3B alternate by day and night. 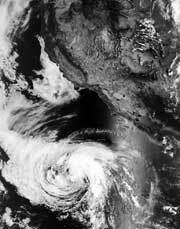 The frequencies are shown in the table below. 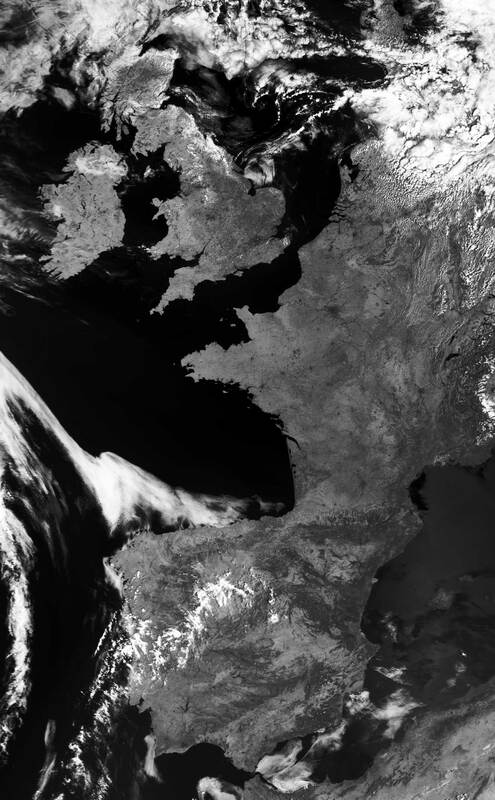 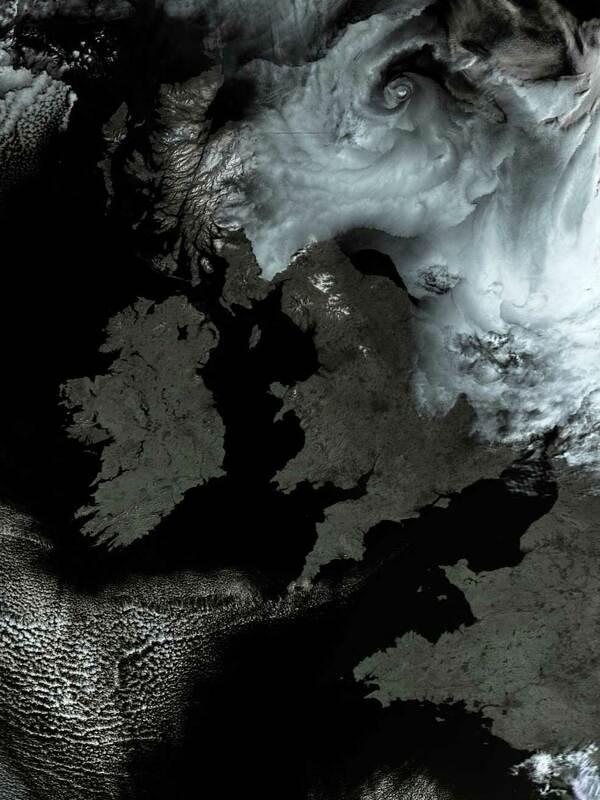 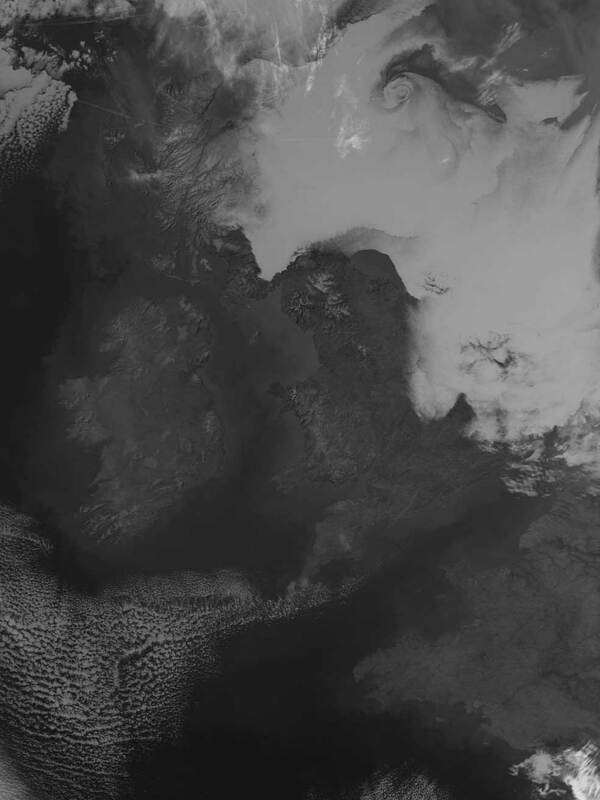 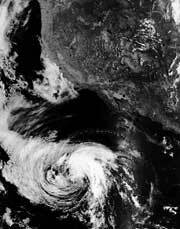 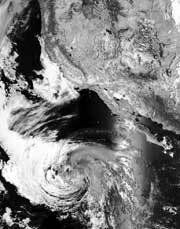 Following are examples of Metop imagery, displaying thumbnails of channels 1 to 4: channel 5 appears almost identical to channel 4, and is not shown. 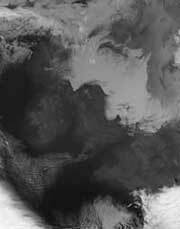 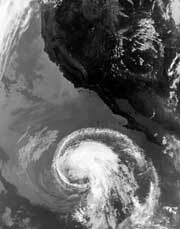 Also displayed is a false-colour composite image, created by combining data from channels 2 and 4. 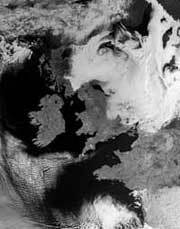 The colour depends on both the intensity of sunlight (channel 2) and the temperatures of cloud, water and land. Consequently, Summer images display more intense colour characteristics compared with images from Spring and Autumn.